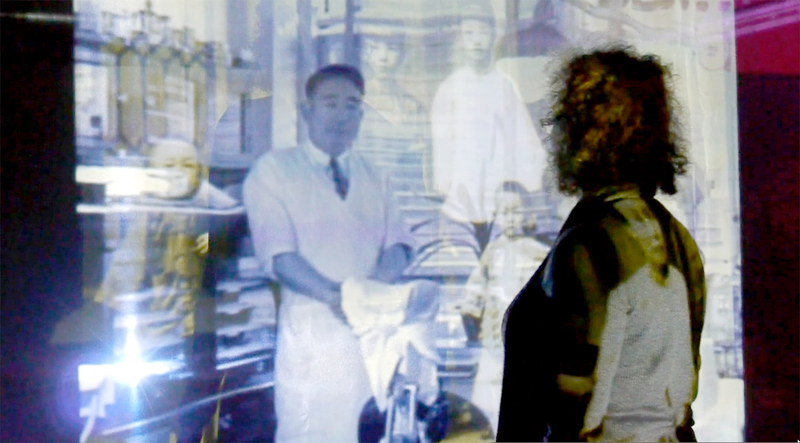 Join Dmae for the final KBOO spring membership drive show featuring two extreme AAPI projects. First up we feature Horatio Law and the unveiling of his multimedia art project “A Tale of Two Ghettos” that will perform at two locations on May 16th at 6pm at the same time: Old Town Chinatown and Jade District on 82nd Ave. And in the latter half of the show, we’ll talk with author Kevin Kwan about his book Rich People Problems, the third installment that started with “Crazy Rich Asians” soon to be a major motion picture starring Constance Wu of Fresh Off The Boat. We’ll be giving away his book as well as tickets to CABARET at Fuse Ensemble, LEFT HOOK at Vanport Mosaic and JOHN HUGHES HIGH: The 1980’s Teen Musical at Staged! 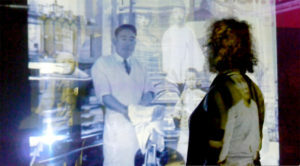 More about the installation: A Tale of Two Ghettos explores the layered and hidden history of Old Town Chinatown and proposes to connect Chinatown with the developing Jade District in East Portland via social media/video conferencing platforms. 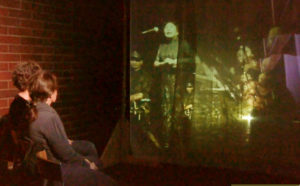 At two selected locations, simultaneous real time videos of performance, audience and discussion are projected into the spaces in both districts (PCC SE Campus Community Hall in Jade District–2305 SE 82nd Ave., and the Portland Chinatown Museum in Old Town Chinatown–127 NW 3rd Ave). 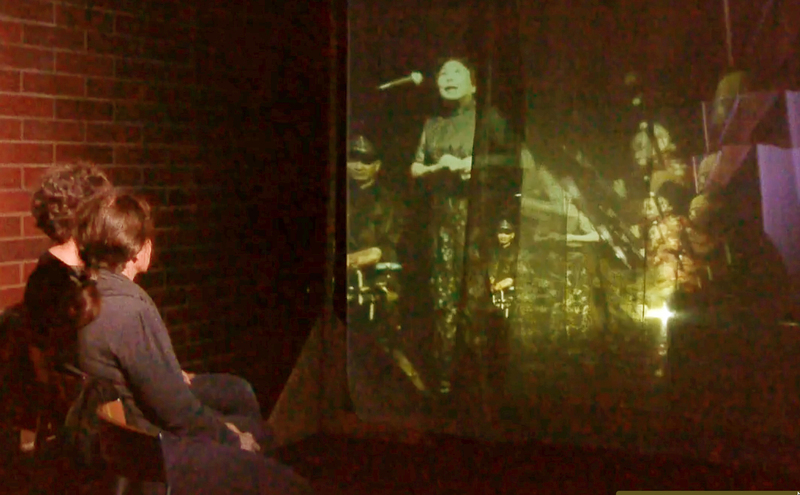 The audience in Jade District will be viewing a ghostly performance projected on multiple translucent scrims, and at the same time, the musicians in Old Town Chinatown will be performing to a projected phantom audience. This one-night double public event features video installations, musical performance of Chinese and Japanese traditional instruments, drumming and singing followed by discussion at both sites. The events will take place on Wednesday, May 16, 2018, 6 to 8 PM as part of PCC SE Campus’ CulturesEast Festival that celebrates Asian American Heritage Month. 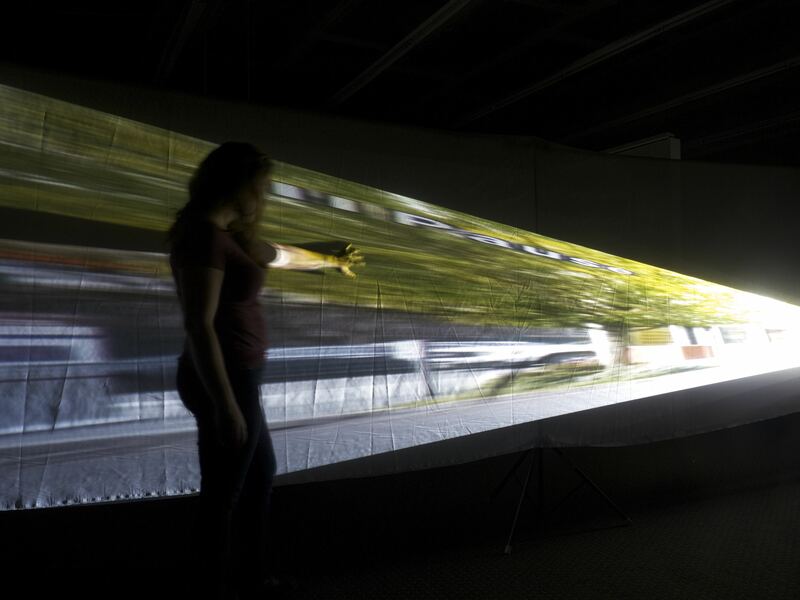 Horatio Law is a public art and installation artist who is interested in creating collaborative installations with diverse communities, and in exploring how art activates the complex and dynamic relationship between individual and community. As artist-in-resident, he has created installations with Multnomah County Health Department, South Waterfront Development, and families with children adopted from China. He’s now working on public art projects with the Oregon State Hospital, Seattle Public Utility % for Art in South Park, and Tri-Met’s Portland-Milwaukie Light Rail Line. 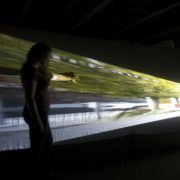 He is also an assistant professor at the Pacific Northwest College of Art. 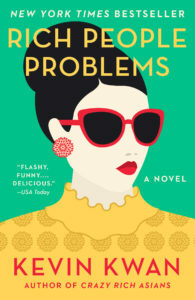 Kevin Kwan is the bestselling author of Crazy Rich Asians (soon to be a MAJOR MOTION PICTURE starring Constance Wu, Henry Golding, Michelle Yeoh and Gemma Chan) and China Rich Girlfriend, is back with an uproarious new novel of a family driven by fortune, an ex-wife driven psychotic with jealousy, a battle royal fought through couture gown sabotage, and the heir to one of Asia’s greatest fortunes locked out of his inheritance. Synopsis: When Nicholas Young hears that his grandmother, Su Yi, is on her deathbed, he rushes to be by her bedside—but he’s not alone. The entire Shang-Young clan has convened from all corners of the globe to stake claim on their matriarch’s massive fortune. With each family member vying to inherit Tyersall Park—a trophy estate on 64 prime acres in the heart of Singapore—Nicholas’s childhood home turns into a hotbed of speculation and sabotage. 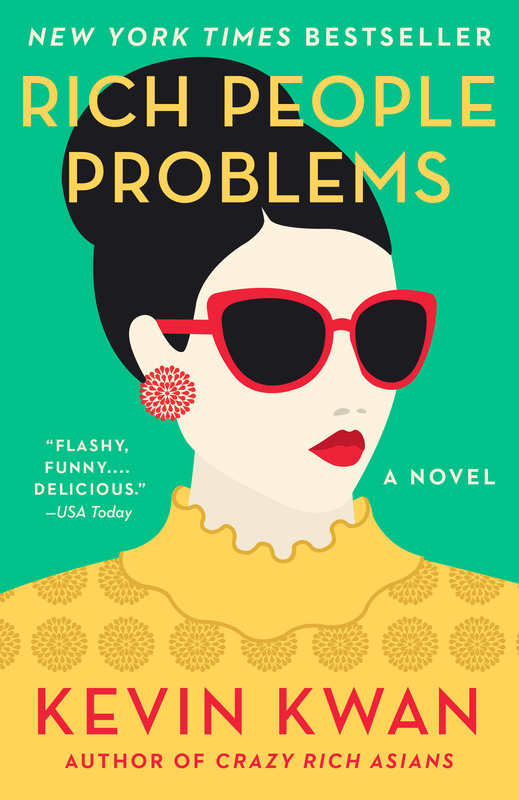 As her relatives fight over heirlooms, Astrid Leong is at the center of her own storm, desperately in love with her old sweetheart Charlie Wu, but tormented by her ex-husband—a man hell bent on destroying Astrid’s reputation and relationship. Meanwhile Kitty Pong, married to China’s second richest man, billionaire Jack Bing, still feels second best next to her new step-daughter, famous fashionista Colette Bing. A sweeping novel that takes us from the elegantly appointed mansions of Manila to the secluded private islands in the Sulu Sea, from a kidnapping at Hong Kong’s most elite private school to a surprise marriage proposal at an Indian palace, caught on camera by the telephoto lenses of paparazzi, Kevin Kwan’s hilarious, gloriously wicked new novel reveals the long-buried secrets of Asia’s most privileged families and their rich people problems.